Summer camp may sound like a luxury, but it’s anything but when you’re a child with a chronic and/or life-threatening illness. A break from being a kid with a medical condition; a chance to be normal for a few days or weeks becomes an important way to fight the symptoms; to get back on track emotionally; to be a kid again. It means so much more to these children to be able to laugh, forget the pain, and to be with other children going through the same sort of difficult experience. That’s why Paul Newman decided there needed to be a way to give these children a respite. For this purpose, Newman created the SeriousFun Network of camps which includes The Painted Turtle, and put some serious support behind this and other such initiatives for children with chronic and life-threatening illnesses. 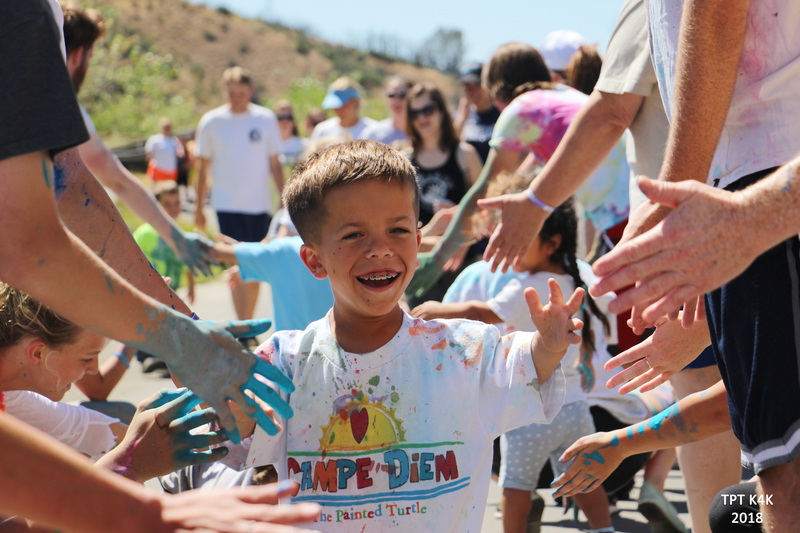 The Painted Turtle, by the way, not only serves children with illness, but gives families (parents and siblings) of these kids a break from their constant battle with a family member’s illness. This state-of-the-art facility and its programs cannot help but touch the heart of those who either take part in these programs, or read about them. Kars4Kids: Your website states that of the one million children with chronic and life-threatening illnesses in California, 17,500 are unable to attend summer camp due to their medical conditions. How many of the one million are hosted by The Painted Turtle during an average year? Chris Butler: To clarify, The Painted Turtle opened to help fulfill the need of those 17,500 children with serious medical conditions who are unable to attend a traditional camp. Of this group, we serve about 3,000 campers through our on-site camp programs and another 3,000 through our hospital-based programs annually. Each year, The Painted Turtle continues to identify more children with increasingly complex medical conditions and creates sessions that safely accommodate all of their needs. Kars4Kids: You’re open year-round to children and their families. Is there a difference between your summertime activities and your activities during the course of the year? Chris Butler: All sessions are overnight, medical condition-specific, and welcome up to 130 campers, but differ based on time of year. We host 8 week-long summer sessions exclusively for children living with chronic medical conditions. During these sessions, campers are grouped in cabins by gender and age, overseen by counselors and experiencing all activities alongside their cabin mates. For children living with serious illness, developing friendships and strong social support can be especially challenging. Time spent receiving treatment can lead to frequent absences from school and missed opportunities to interact with peers, often including sleepovers and school trips. At camp, children are surrounded by others with similar diagnoses who understand the challenges they face. The resulting sense of belonging and inclusion is conducive to forming social connections that transcend camp days. While school is in session in the spring and fall, we hold 10 Family Weekend programs for children affected by illness, as well as their parents, siblings, and other family caregivers. At these sessions, families participate in a more free-flow style in the activities they choose, guided by “Family Pal” counselors. At camp, we recognize that having a child with a chronic illness does not only affect the well-being of the child, but also that of their family members. Many families have not been on a vacation due to the medical and financial constraints of their child’s condition, so camp offers both fun and much-needed respite for the whole family. Kars4Kids: Looking at your camp calendar, it seems that dates for camp programs are categorized by specific illnesses. Are there activities that are safe for children with skeletal dysplasia, for example, that are different than those activities deemed safe for children with epilepsy, for instance? Chris Butler: Correct—all overnight sessions are medical condition-specific so campers can meet others who face similar challenges and closely relate to their experience. It also allows our year-round staff to bring in additional, seasonal staff and volunteers that cater to a specific condition or need. For instance, our Kidney Disease and Transplant sessions present a need for medical professionals experienced in nephrology and providing dialysis treatments. 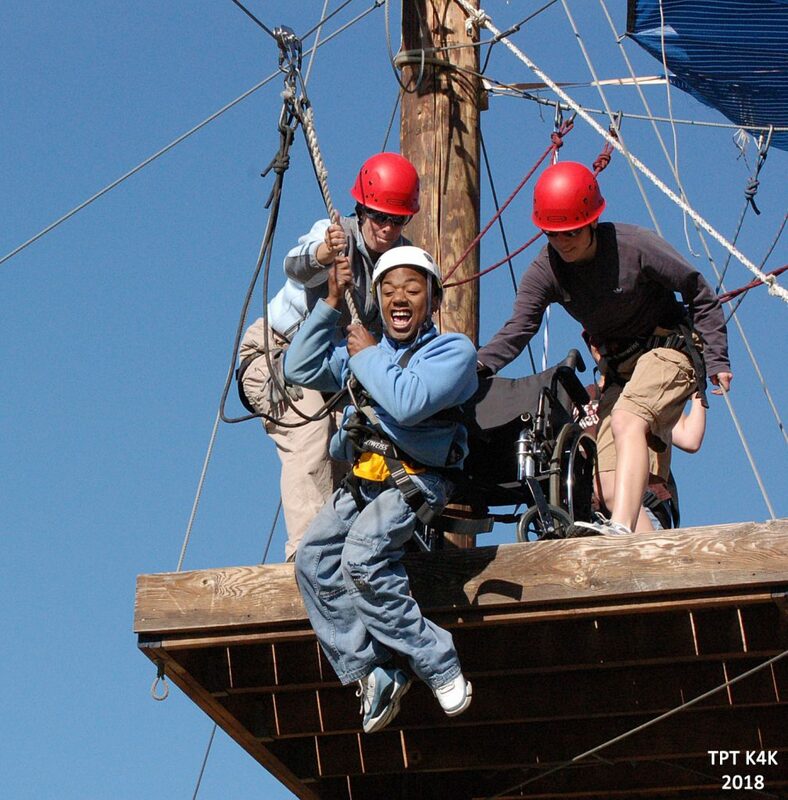 All recreational activities and facilities are universally accessible to campers with disabilities and are used year-round: Archery, Aquatics, Arts & Crafts, Boating, Equestrian, Fishing, Gym & Rock Climbing Wall, Music & Performing Arts, Ropes Courses, Team Building Initiatives, and Wood Shop. Our medical team ensures each camper is cleared by their pediatrician and any specialists to participate in the activities we offer, and our program team makes note of any adaptations we need to make to our program prior to campers’ arrival. When a session begins, everything is already customized to their needs. Kars4Kids: It’s remarkable that you offer these activities, valued at $1,600 per camper, free of charge. Are you able to host every child who applies or is there a waiting list? Chris Butler: The average cost of a camper’s experience at a summer session is $2,500. For a Family Weekend, the approximate cost of each camper (whether the primary camper with the medical condition, their siblings, or parents) is $800. Sometimes we have a waiting list for campers, though the length truly depends on the session. For instance, certain sessions tend to fill up quickly (Rheumatic, Skeletal Dysplasia, Liver Disease, and Kidney Disease) and thus are more likely to have a wait list. We do give priority to campers and families who have not yet attended a session at The Painted Turtle, or do not otherwise have a chance to do so this year. Oftentimes with cancellations and other items that arise, we are able to accept campers off the wait list. Kars4Kids: How often do you operate in the 20 hospitals that make up The Painted Turtle Outpost, for children too ill to make it to the camp site at Lake Hughes? Chris Butler: The Painted Turtle Outpost now visits 22 hospitals annually. Because we have just 2 staff members dedicated to this program, we are heavily volunteer-run. Since we are based in the Los Angeles area, we are able to visit our most local hospital partners monthly. We visit other Southern and Northern California hospitals anywhere from 3-6 times annually. Kars4Kids: You not only offer a camp experience to children with serious illness but Family Weekend Programs for their siblings and parents. Are there dedicated counselors and living spaces for the healthy siblings? Do their days look much different than those of their siblings with illness? Chris Butler: At camp, we do not differentiate between the campers with chronic illness and their siblings without a medical condition. Family Weekends allow for the whole family to experience our activities together, as well as stay in a cabin as a family unit. Family Pal counselors oversee the needs of the whole family. Furthermore, we offer a Summer Session each year specifically for siblings, who attend without their brother or sister who has the medical condition. Kars4Kids: What kinds of activities are provided to the parents who come for the Family Weekend Program? Chris Butler: During Family Weekends, parents and caregivers are provided crucial psychosocial and medical support through discussion groups led by social workers and medical professionals. Ample opportunity is given to caregivers to interact with medical specialists, ask questions, and learn vital information and resources regarding their child’s condition and care. Topics center around insurance, medical compliance, worries about immunosuppression, emotional concerns and parent self-care. Additionally, we hold a Parent Café for parents to mingle with others. Though the previously described parent education session is extremely helpful for those who need more resources, we also want to provide opportunities for these busy parents to unwind. A mother and father who are usually so focused on their children can finally enjoy a “date night” (often complete with sparkling cider, cheese, and crackers) or form friendships of their own. Beyond the activities catering to parents specifically, they participate in our program areas alongside their children. Camp is for the whole family! Kars4Kids: Are there ever situations in which a child must be transported from camp to hospital? How are these situations and other sad situations handled in terms of the remaining campers? Chris Butler: Though our Well Shell medical center is equipped to treat most anything, from first aid needs to intensive care needs—including hemodialysis, peritoneal dialysis, home ventilators, tracheostomy tubes, and central venous catheters—we have had situations in which a camper must be transported to a hospital. Thankfully, one of the requirements when we built Camp was to be located no more than a 15-minute helicopter ride to a major hospital. If something unexpected occurs during programming, all staff members are trained to keep the remaining campers occupied and at ease. Though we may have to temporarily move activities inside while we undergo emergency procedures to ensure a camper’s safety, we return to regular programming as soon as possible. Kars4Kids: Is it difficult to find qualified medical staff to come work at The Painted Turtle? Is there a typical candidate for these positions? Chris Butler: Along with our full-time nursing staff, seasonal and volunteer nurses play a vital role in addressing the medical needs of our campers. Each summer, we hire 5 full-time, highly experienced nurses who provide the backbone of care for our campers and the foundation of our medical program. They lead 90 additional, dedicated volunteer nurses throughout the summer. In past years, we have faced difficulty in finding qualified nursing personnel to lead our program. Inflexible, year-round schedules, national nursing shortages, and rising salaries were not conducive to nurses’ commitment to a 12-week summer position. In response, The Painted Turtle took steps to make summer positions more appealing to nurses who might consider such a position if financially plausible. We also work with nurse registries to help recruit qualified, well-vetted candidates. Qualified candidates have experience with acute and/or chronic pediatric conditions, a California RN license, and current PALS and BLS certification. Past leadership skills such as charge nurse, preceptor or camp nurse experience are a plus. Kars4Kids: What’s next for The Painted Turtle? Chris Butler: Our goal for camp remains to reach capacity in our sessions, as well as continue to offer our programming to new campers and conditions we can safely and successfully accommodate. In 2018, we are proud to provide an authentic, recreational camp experience to even more campers of high acuity. Because Camp will always be free of charge to the families we serve, we thank supporters like Kars4Kids for making these empowering experiences possible!